So ein Theater! (Oh What Drama!) -- A German Cabaret! 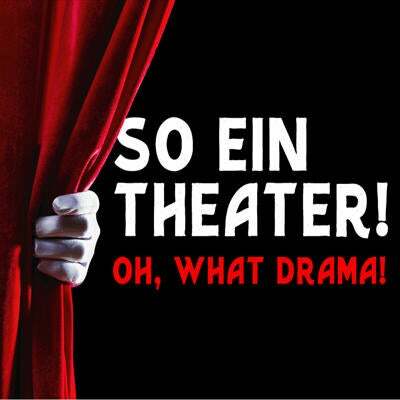 The German Theater Group San Diego presents So ein Theater! (Oh What Drama!) -- A German Cabaret! Enjoy an evening of funny and thought-provoking skits and musical numbers about work, kids/family, and getting older. Performed in German! A summary of acts and announcements will be provided in English. The German Theater Group San Diego is a group of dedicated and enthusiastic volunteers whose mission is to bring quality German Theater to San Diego and neighboring areas. If you enjoy German theater and have been looking for performances in San Diego, you don't want to miss "So ein Theater!"